Toll free phone numbers aren’t just for huge corporations. In fact, many solo business professionals and entrepreneurs have toll free phone numbers. However, unlike large corporations with massive telecom budgets, independent professionals don’t necessarily have the resources to man their phone numbers when they’re away from the office. Toll free call divert is the answer. What is Toll Free Call Divert? Call diversion is a telecommunications feature that allows a phone service subscriber to redirect, or divert, their incoming calls to another phone number or voicemail. With toll free call divert, this concept applies to a toll free phone number. By default, toll free numbers are already diverted to a designated “ring to” number. Taking that one step further with toll free call divert, the subscriber can change this ring to number as needed. Increased flexibility – Instead of missing calls while you’re away, you can divert them to an alternate number. Similarly, you could use toll free call divert to route calls to voicemail when you absolutely cannot be interrupted. Reduced costs – If you normally use an answering service or hire someone to answer your toll free phone number when you’re traveling on business, you could reduce or eliminate these costs by diverting your calls to your mobile phone or a phone at your current location. Portability – Toll free numbers are among the most portable numbers available due to call divert features. Whether need to divert calls temporarily while on a trip or permanently due to an office move, you can easily do so by changing the ring to number. The specific steps vary based on your toll free call divert plan. For example, some plans allow you to divert calls by entering a code on the phone followed by the new ring to number. Plans with online account management dashboards usually have easy-to-follow prompts, enabling you to quickly change the ring to number online. Toll free call divert is an easy-to-use feature that can reduce your costs while allowing greater flexibility and portability. Thinking about ordering a local, toll free, or international call forwarding plan? If so, one of the options you may want to consider is whether or not the call forwarding plan includes rollover minutes. A rollover minutes option, if available, can provide you with even more flexibility. You’re likely familiar with the rollover minutes concept thanks to similar offers on long distance and cell phones. Many calling plans, including domestic and international call forwarding plans, are offered in packages where you pay for a pre-determined amount of minutes each month. If you exceed that value, you must pay for the additional minutes you use, often at a slightly higher rate than your bundled minutes. If you do not use up all of your minutes, you generally lose them. For example, let’s say that you have a call forwarding plan with 900 minutes per month. In January, you only use 500 of those minutes. You will have paid for 900 minutes but only used 500 of them. In essences, you’ve overpaid for your usage. Now let’s see what happens in February when you use 1200 minutes. 900 of those minutes will have been included in your call forwarding plan, but you will need to pay for 300 additional minutes at a slightly higher per minute rate. In this example, not only did you overpay for minutes in January, you had to buy additional minutes in February. If you had a rollover plan, you would have been able to save those unused minutes from January and used them in February. Not only would you be money ahead, you’d still have rollover minutes left to use in March, April, or several months from now. Minutes from each month that you are under your allotment would rollover, allowing you greater flexibility over your call forwarding usage. Is Adding Rollover Minutes to a Call Forwarding Plan Financially Smart? Adding rollover minutes to your international call forwarding plan is typically optional and offered for a small monthly fee which could be anywhere from $5 a month to $15 or more per month depending on your plan. In order to determine whether or not this option makes sense for you, you’ll need to examine your usage patterns and do the math. For example, does your usage fluctuate from month to month or is it fairly stable? If you routinely use just under 200 minutes each month, then AI Telephone’s “Preferred” plan (222 minutes) with no rollover minutes might be suitable. On the other hand, if your usage goes up and down dramatically each month, being able to “bank” your unused minutes makes a great deal of sense. Once you decide that the rollover option is a possible fit, look at the per month rate for the feature. Will you get more value out of using banked minutes than the fee or does it make more sense to forfeit your unused minutes and pay for overages? Do the math based on your anticipated usage. You’ll likely find that opting for rollover minutes is the financially smarter choice. Summer has arrived and the world awaits! Unfortunately, if you’re traveling from the U.S. to an international destination this summer, your trusty cell phone won’t necessarily work unless you use some sort of international or toll free call divert. While there’s something to be said for being completely disconnected while on vacation, being able to receive emergency calls is important. If you’re traveling on business, being disconnected from the office is not an option. Most of us take our cell phones for granted and expect them to work no matter where we are. Once we cross international lines, however, nothing is guaranteed. Even if your phone works, international roaming charges could be an unexpected – and costly – surprise. 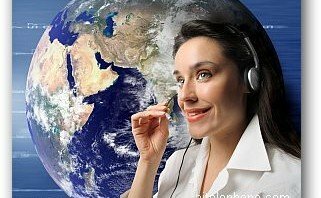 Fortunately, a low-cost solution exists that allows you to receive your mobile phone calls in countries around the world: international call forwarding. You’re likely familiar with domestic call forwarding, right? For example, depending on your cellular service provider’s calling features, to set your iPhone to ring to your home number, you simply go to Settings > Phone > Call Forwarding and enter your home phone number. Whenever someone dials your iPhone number, the call rings to your home phone. International call forwarding works in a similar manner. If you’re thinking you can simply change your mobile phone’s settings to ring to an international number as illustrated in the example above, think again. This technique only works domestically. 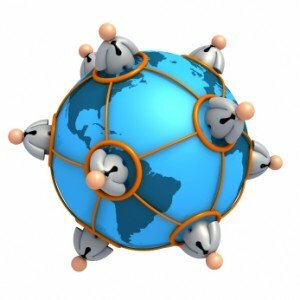 You will need an international call forwarding service to accomplish this task. Don’t worry, it’s not hard but it does require some planning. First, make sure your mobile phone has a call forwarding feature (not all do). If you can call forward calls from your mobile to your home number, then your phone is properly equipped. If it is not equipped with call forwarding, you may be able to change that via your online account dashboard or with a quick call to your provider. Next, you will need to order a domestic call forwarding number from a service provider. If you’re in the United States, for example, you’ll need a U.S. call forwarding number. This is the number that you will forward your mobile calls to. This step is crucial because in most cases you can’t forward mobile calls to an international phone number directly. Even if you could, the costs would be prohibitive. Once you have your domestic call forwarding virtual number, you will need to configure it so that it forwards to the ring-to number in the country you will be visiting. This number could be your hotel, a disposable cell phone you buy in that country, your local business office in that country and so on. At the same time, you will need to configure your cell phone to ring to your new domestic virtual phone number. Once all configurations have been made, anytime someone dials your U.S. cell phone number, the call will be routed first to your new virtual number and then to your ring-to number overseas. The same method will work regardless of where your home country is. Simply get a virtual number in your country. Call forward your mobile phone to ring to the mobile or hotel, etc, at your travel destination. This process allows your local contacts to reach you overseas without requiring them to do anything different. You will incur costs for the call forwarding, making it important to choose a low-cost international call forwarding service. Because quality is equally important, you’ll also want to choose a provider that uses traditional telephone networks rather than Internet-based routing. Another useful feature to look for is time of day routing, especially if time differences are significant. Don’t let your overseas travel plans keep you disconnected. Explore your international call forwarding options today! Whether you run a regional business or a global one, appearances matter – especially to locals. Having a local phone number immediately reassures potential customers that your company is legitimate and ready to help. What they may not realize is that while yes, you are legitimate and ready to serve, your business may be located thousands of miles away. With virtual phone numbers, you can appear local yet receive phone calls virtually anywhere. Virtual numbers are a form of call forwarding. Many companies use virtual phone numbers as way of creating a local presence without having to maintain a physical office in the desired country or city. For example, if your business is located in Idaho and you’d like to serve customers in Beverly Hills, you could order and advertise a Beverly Hills phone number. When prospective customers in the Beverly Hills area dial that virtual phone number, the call will ring to your office in Idaho. With a virtual number, callers are able to reach your business wherever it is located by dialing what appears to be a local phone number. If callers call from within the same local calling area, no toll charges will appear on their telephone bills. As the owner of the virtual phone number, you will pay the charges associated with forwarding the call to your designated ring-to number. This is similar to owning a toll free number in that you, the virtual phone number account holder, pay for the cost of the calls. 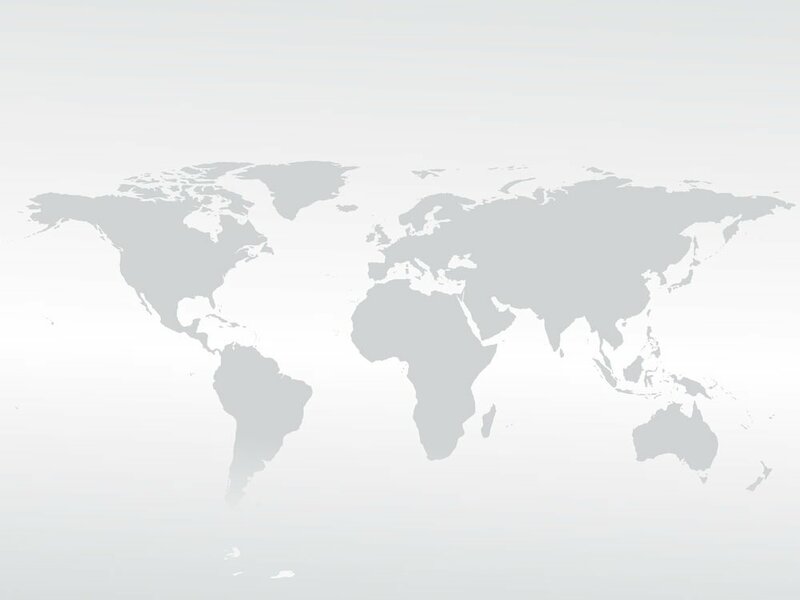 Localization is one of the primary reasons businesses use virtual call forwarding numbers. However, the benefits of having a virtual phone number extend far beyond appearances. For example, virtual numbers allow you to enter new markets without the need to rent space and staff an office. Even if you have an office nearby, you may want to use virtual numbers in specific communities in order to make it as convenient as possible for your customers to contact you. For instance, if you serve communities located in different area codes, having a local phone number alleviates customer concerns about paying long distance fees. While you could solve that problem with a toll free number, doing so gives the illusion that your company may not be local at all. Virtual phone numbers are also beneficial if you want to take advantage of less expensive office space in a neighboring city. For example, if you want to provide mobile service to clients in Beverly Hills, you may find office space there to be cost-prohibitive. Meanwhile, rents may be much more affordable in a different Los Angeles city. However, the phone prefix, and in some cases, the area code, will be obviously different. With a virtual Beverly Hills number, you can create the upscale presence you want with minimal fuss and low costs. Whether you need to change the ‘ring-to’ number due to staffing issues, travel, or a permanent office move, you can keep your virtual number and forward it to any number in the world as needed. Your callers will never know the difference. To them, your office is just a phone call away. Create Black and White lists for your Virtual Number service. This feature enables Global Call Forwarding customers to create a list of phone numbers to help manage who you wish to call you on your Virtual phone number. The customer can set up lists of caller ID’s that will be automatically blocked = ‘Black’ list. Black list callers will be rejected by the system. Caller ID’s can also be added to the White list and immediately connected.